Researchers at UNSW are using cutting-edge technology to derive insights from masses of new and historic data with the aid of a series of labs in what the university says is the most advanced facility of its kind. 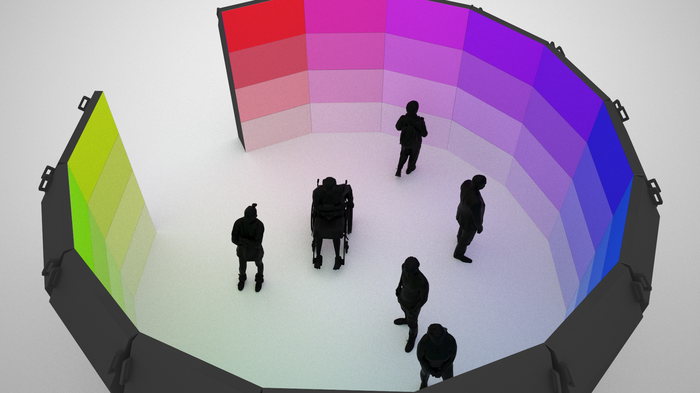 The EPICentre — Expanded Perception and Visualisation Interaction Centre — and houses a range of technologies that offer new ways of displaying and interacting with data. The facility is intended to be a tool for researchers sifting through data and as an aid for teaching, but it is also designed to help drive forward the discipline of data visualisation itself. Leading the centre is a multidisciplinary team that UNSW says draws together researchers from the fields of bio-informatics, medical and neuro-imaging, art and design, immersive visualisation, data fusion, anatomy research and computational engineering. “It’s a UNSW strategic initiative,” Luc Betbeder, director, research technology services, at the university, told Computerworld. The idea of the centre is to “align the art and design community with the more hard-edged scientific community, starting with medicine and expanding into engineering and science”. “We didn’t just put it into an existing faculty or into an existing lab area – we built a whole new lab area around the new equipment and then brought in some of our researchers,” Betbeder said. The newest addition to the centre is the EPIcylinder: A 340-degree, 3-metre tall data visualisation environment. 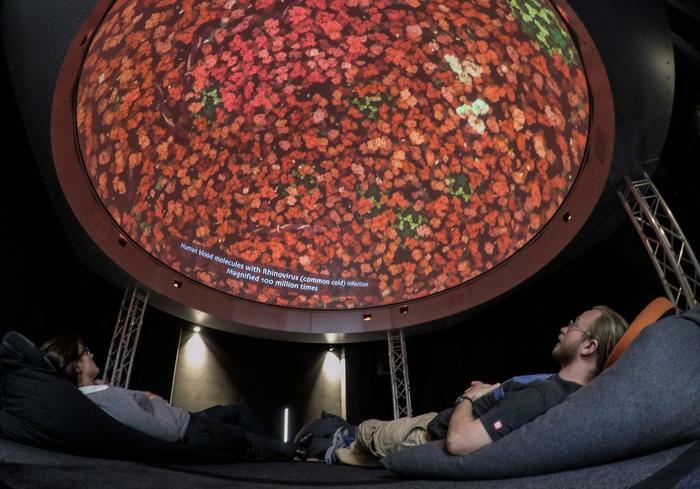 The EPIcylinder has a six-metre diameter and is made up of 56 60-inch screens, with a tiny (2mm) gaps between them, delivering an effectively seamless, immersive ultra-high-resolution display. Each display unit has a 1920x1080 pixel resolution — meaning that the cylinder offers in excess of 116 million pixels to display data. “We can get down to data points of single pixels — where you really walk up to a single pixel and it has meaning,” Betbeder said. The cylinder can operate in both 2D and 3D modes. The screens, despite relying on rear projection, are only half a metre thick. They are serviceable from the front — the screen can be opened and the projector removed for servicing or replacement. The screens are from German company Eyevis, while the behind-the-scenes computing power driving the EPIcylinder’s data visualisations is provided by a cluster of Dell workstations. The displays are driven by 28 Dell Precision Rack 7910 Workstation nodes, each equipped with dual Intel Xeon E5-2650 v3 CPUs and an NVIDIA Quadro M6000 graphics card — providing a total of 196 teraflops of GPU power — as well as a Dell PowerEdge R630 server. The system is also fitted with a 32-channel ambisonic sound system and 12 infrared cameras for interaction. The EPICentre also houses UNSW’s DomeLab: A 360-degree roof-mounted fulldome with a negative pressure membrane that acts as a screen, driven by eight 3D projectors, each with a resolution of 2560x1600 pixels. Upstairs at the facility is the curved AVIE-SC 160-degree screen, which relies on dual projectors (each with a 2560x1600 resolution) and 16 infrared cameras for motion tracking. Also located within EPICentre is an XR lab to explore the application of mixed reality. “We’re doing everything from HoloLens through to Apple AR Kit through to Google Glass through to [HTC ] Vive,” Betbeder said. The EPICentre is examining the use of multiple layers of data in visualisations; for example, using the cylinder as a 2D layer and then through a smartphone or headset such as HoloLens or Glass enabling an additional augmented reality overlay. The EPICentre formally launched earlier this year and its project pipeline is starting to fill up, Betbeder said. In addition to pushing forward the understanding of data visualisation and exploring the potential of new platforms and toolkits (currently, heavy use is made of Unity), this year the EPICentre will be used for a number of industry-linked projects in collaboration with Data61 as well as aiding the work of UNSW researchers and being used as a teaching space.